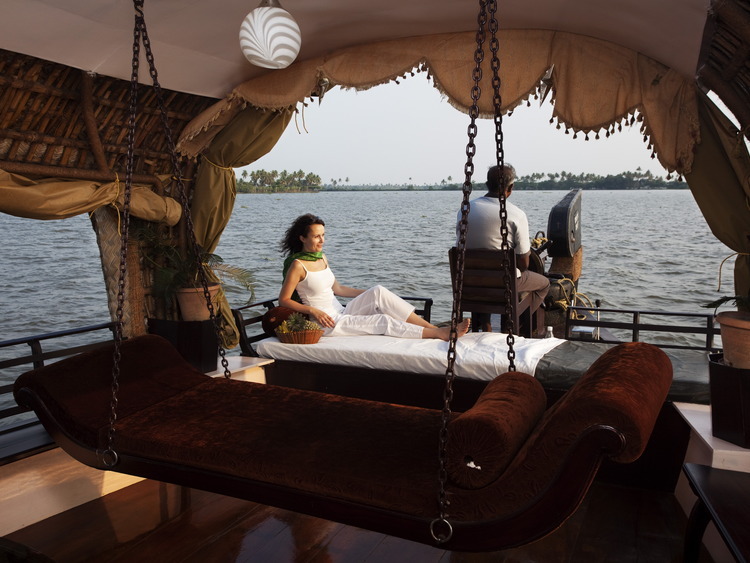 From Kochi we take the coach towards Alappuzha, previously known as Alleppey, making a brief stop on the way. We also see the village residents bathing and washing their clothes, and the livestock on the riverbank. Having feasted our eyes on so much beauty, we will now also indulge our palates with a typical lunch served on board, before returning to the ship by coach. The coach transfer from Kochi to Alappuzha will take around an hour and a half. The cruise will last approximately 4 hours. The boats' capacity can vary according to availability and the number of bookings. Passengers will be embarked depending on the boat capacity. Adverse traffic conditions could alter the duration of the excursion. The streets may not be tarred. Do not forget to bring insect repellent. The lunch consists of typical Indian dishes with spices. ?